You Have A Choice, Choose Success! If you are looking for a trustworthy Real Estate Agent, you have found one of the best! 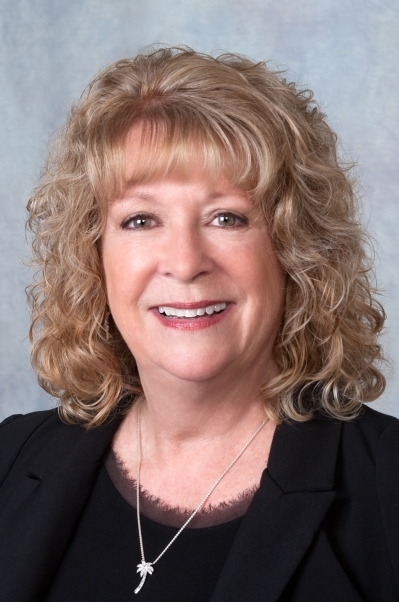 Alison Hennessy has won awards for excellence in each of her many years providing professional, dependable service to Buyers and Sellers in the Central Maryland area. A Certified Staging Specialist, Alison will Truly Represent YOUR Best Interest. Full Time 7 days a week. Call today to let Alison know how she may help YOU buy or sell a home. Cell: 410-206-6606 or theOffice: 1-800-795-2255 ext 7134. AMAZING VIEW/GORGEOUS PROPERTY. GREAT LOCATION FOR HOME BASED SEPARATE ENTRY BUSINESS. ENJOY THE GORGEOUS PRIVATE VIEWS FROM IN GROUND SWIMMING POOL, HOT TUB, PATIO, PORCH, OR DECK. HORSE READY 40' x 30' HISTORIC BARN ON BARN QUILT TRAIL WITH 6 STALLS + OPEN AREA & LOFT. RIDING TRAILS ADJACENT TO PROPERTY. HAS BEEN VENUE FOR SEVERAL EVENTS WEDDINGS, ANNIVERSARY PARTIES, AND RECEPTIONS. GRAND WRAP AROUND FRONT PORCH WARMLY INVITES YOU INTO THIS RETREAT WITH TWO STORY FOYER AND VIEW OF FLOOR TO CATHEDRAL CEILING STONE FIREPLACE. QUIET SUN-FILLED LIVING ROOM AND ENORMOUS DINING ROOM IMMEDIATELY RELAX YOU AS YOU ARE DRAWN TO THE COMPLETELY OPEN CONCEPT HUGE FAMILY ROOM WITH SPECTACULAR ROLLING HILL AND WOODED RESERVOIR PROPERTY VIEW ALSO ENJOYED FROM THE CASUAL MORNING ROOM. THIS UPSCALE KITCHEN WITH BRAND NEW APPLIANCES, HAS A PERFECT LAYOUT FOR ENTERTAINING OR PREPARING QUIET DINNERS AT HOME. GENEROUS CABINETS, GRANITE COUNTERS, CENTER ISLAND BREAKFAST BAR, STAINLESS APPLIANCES, & DOUBLE WALL OVENS. MAIN LEVEL SECOND MASTER BEDROOM, EN SUITE FULL BATH, AND WALK-IN CLOSET, LARGE LAUNDRY ROOM AND HALF BATH, COMPLETE ALL YOUR WANTS AND NEEDS ON THIS LEVEL OF THE HOME. THE LOWER LEVEL IS WALK OUT LEVEL AT GRADE PROVIDING PLENTY OF LIGHT FOR DEN OR COULD BE FIFTH BEDROOM, PLUS WRAP AROUND DRIVEWAY TO DOUBLE GLASS DOOR ENTRY INTO 20x17 OFFICE OR POTENTIAL BEDROOM 6. EXACTLY WHAT YOU WANT FOR A HOME BUSINESS WITH PRIVATE ENTRANCE OR IN-LAW SUITE. CONVENIENT FULL BATH NEARBY DEN/BEDROOM 5 AND OFFICE/ BEDROOM 6. AMAZINGLY LARGE FINISHED FAMILY ROOM/GAME AREA & PLENTY OF STORAGE SPACE COMPLETE THE LOWER LEVEL. NEARBY PLUMBING CREATES PERFECT LOCATION FOR SECOND KITCHEN IF DESIRED. UPPER LEVEL FEATURES THE MASTER BEDROOM SUITE, PLUS TWO MORE BEDROOMS BOTH WITH THEIR OWN FULL BATHS FOR A TOTAL OF 5 TO 6 BEDROOMS 5 FULL BATHS AND ONE HALF BATH. SEPTIC APPROVED FOR 4 BEDROOMS. LOWER LEVEL FINISHED BY ORIGINAL CUSTOM BUILDER. TWO OF THE THREE UPPER LEVEL BEDROOMS FEATURE EN SUITE BATHROOMS AND WALK-IN CLOSETS. THIRD UPPER LEVEL BEDROOM HAS FULL BATH JUST OUTSIDE ITS DOOR. UNIQUE PROPERTY ALSO FEATURES SEVERAL HISTORIC OUTBUILDINGS: A SUMMER KITCHEN, SMOKE HOUSE, AND WOOD SHOP. BELL & POLE EXCLUDED. DON'T MISS OUT ON TOURING THIS AMAZING ONE OF A KIND MODERN FARM HOUSE PALATIAL PARADISE!